Detail: This show is on at Hauser & Wirth in London between 2 October and 10 November. It is a standalone show but has partner exhibitions taking place in Hauser & Wirth's Zurich and Hong Kong venues. The London show focuses on portraiture from the late 1980s to the present day. 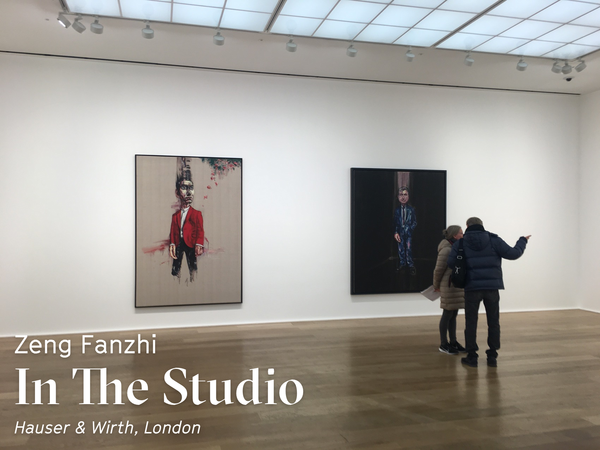 Zeng Fanzhi blends the abstract and the figurative to create works that are both immediately enjoyable and that leave an ongoing emotion once you've left the exhibition. The artist has developed a unique palette and way of depicting the human face and hands which is extremely memorable.